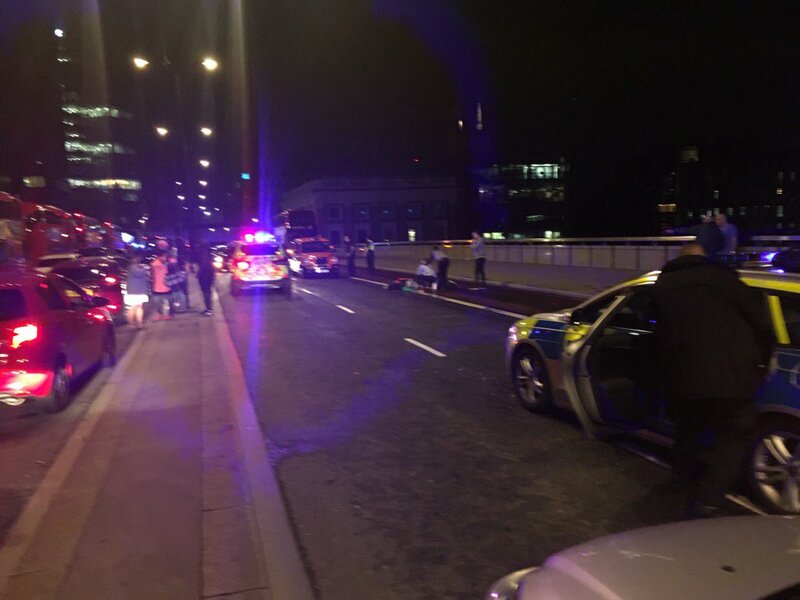 It is believed there are three separate incidents at London Bridge, Borough Market and Vauxhall involving a car attack, gunfire and alleged stabbings. Armed police placed London Bridge on lockdown, while officers raced to the scene of reported stabbings in Borough Market and a further incident Vauxhall. Five or six people are believed to have been mowed down by a white van on the bridge just before 10.30pm on Saturday evening. 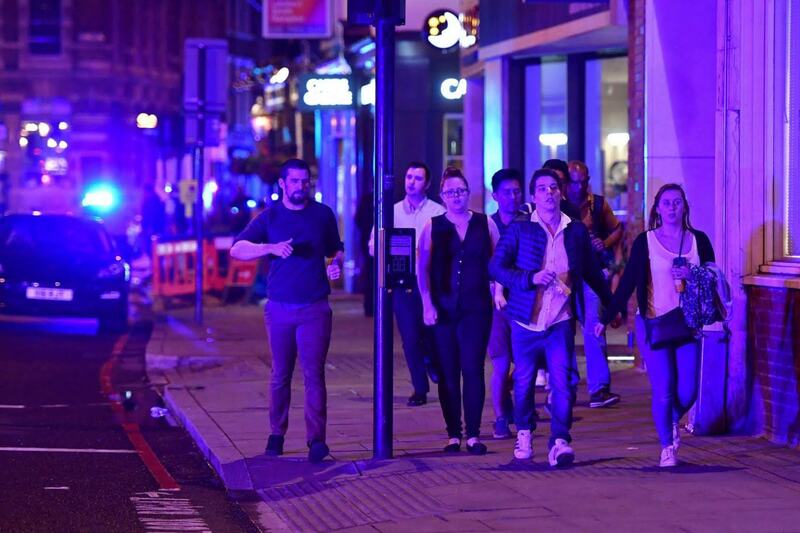 Witnesses who were enjoying nights out in pubs and bars in the area were warned to barricade themselves indoors, while people on the streets surrounding London Bridge began to run for their lives. Multiple stabbings are believed to have been carried out inside the Southwark Tavern and on Southwark Street near Borough Market. Officials have warned people to avoid the area and London Bridge station has been closed. Will Heaven, who was in an Uber passing London Bridge minutes after the incident, told Sky News: “It was about 10 past 10. I was in the back of an Uber cab driving south over London Bridge. “Suddenly on the left hand side on the bridge there was somebody down on the pavement with a small crowd around them, clearly concerned. I thought someone had collapsed. “We drove a little further over the bridge. There was another person in the road itself. The penny dropped that something quite serious was happening. “The traffic came to a standstill. The Uber driver said something bad is happening here. We could hear sirens coming. “A driver of a black cab said there has been a terrorist attack. They saw there were numerous people in the road. A second cab driver said there has been a series of stabbings”. “A white van driver came speeding – probably about 50mph – veered of the road into the crowds of people who were walking along the pavement,” she told BBC News. “He swerved right round me and then hit about five or six people. He hit about two people in front of me and then three behind. A group of people at a pub nearby told BBC News that they have been told to stay inside and described people “running everywhere”. 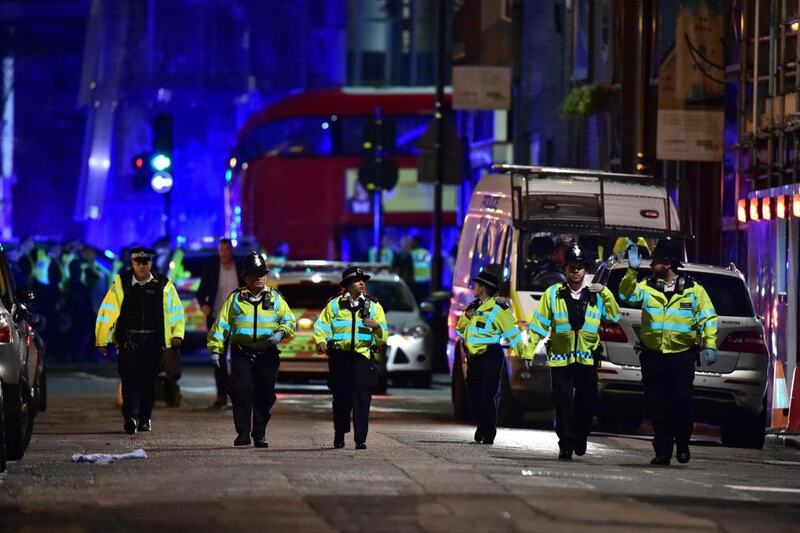 The group said the incident seemed to be on the south side of London Bridge and that they had seen police escorting people away from the scene. Another passer-by who witnessed the aftermath of the incident, told BBC News it was “pandemonium” as crowds made their way down Southwark Street away from the scene. He said: “I started to see dozens of people walking and running away, clearly distraught. Mostly young people, many of them in tears. “Men walking in an almost zombiefied state, in shock. “It appears there was a stabbing at the same time. There were gun shots, people heard multiple gun shots, at least 12 shots. According to reports, the emergency response time was just two minutes. Another witness Giovanni told BBC News: “I was walking towards London Bridge with my friends after leaving a pub. “The bouncers did a really good job, they shut the doors and locked everyone in. “There was panic – it seemed like it was literally outside the door. “People were coming inside and saying they had witnessed people being stabbed. “They had seen and witnessed people being stabbed. 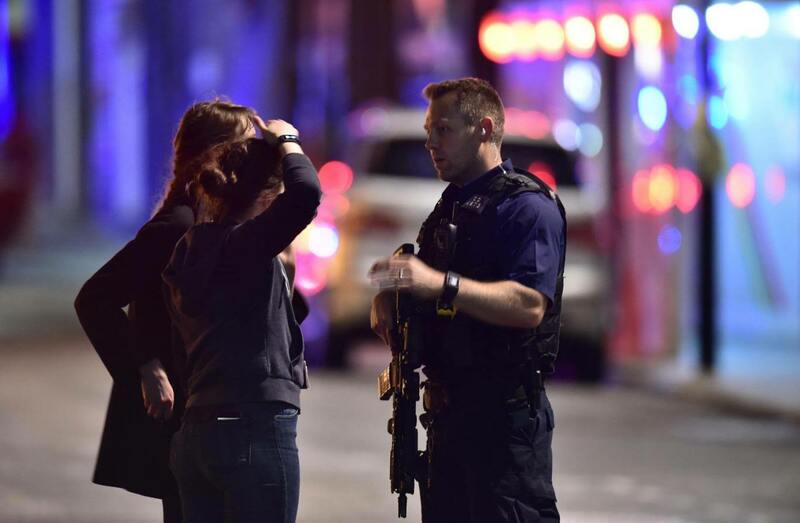 There are reports of a number of casualties as a result of an incident that possibly involved a vehicle and a knife in London Bridge, British Transport Police said.